Your microwave oven is a versatile kitchen appliance that allows you to cook many foods in a jiffy. You can even steam shrimp in the microwave, but you must take care to cook it properly because a microwave does not cook foods, including shrimp, as evenly as a conventional oven does. If you don't take care, microwave-cooked foods can retain "cold spots" where bacteria thrive. However, you can follow a few simple steps and literally have your fully-cooked steamed shrimp ready to eat in just a few minutes. Select your shrimp carefully. 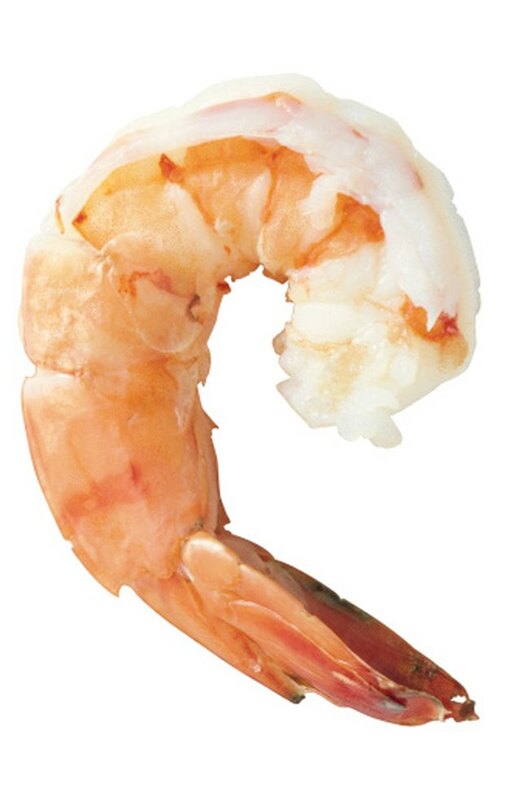 Look for fresh shrimp with firm flesh and a mild odor; you can also use fresh frozen shrimp. The shell should not feel slippery or gooey, and there should be no black spots on the shell of the shrimp, unless it is black tiger shrimp. The flesh should appear grayish-pink or pinkish-tan. Defrost the shrimp if it is frozen. Remove the shells and de-vein the shrimp with the tip of a paring knife. The "vein," located along the shrimp's back, is actually the intestine of the shrimp. According to "Joy of Cooking," you don't have to remove the vein, but leaving it in can give the shrimp a bitter flavor. Place the shrimp in a plastic microwavable steaming bag and add a prepared seasoning or one of your own preference to the bag. You can incorporate additional foods for flavor, including diced peppers, butter, dill, garlic, onion, ground black pepper and cocktail sauce. Close the bag and shake it to coat the shrimp with the seasoning. Place the plastic bag with the shrimp into the microwave. Use a spoon to arrange the shrimp so that they lay in a single, flat layer for even cooking. Cook the shrimp on "High" or full power for three to five minutes, depending on the strength of your microwave. Stop cooking halfway through to rotate the bag one-quarter turn and then resume cooking. The shrimp will appear opaque pink when done. Let the shrimp stand for one minute inside the microwave before removing. Remove the bag from the microwave with oven mitts. Open the bag carefully to avoid being burned by steam. Pour the shrimp and other ingredients onto a platter and serve. You can also steam shrimp in a microwave-safe casserole dish. Add butter, water, seasonings and other ingredients to the casserole dish and heat on "High" for 30 to 60 seconds. Add the shrimp in a single layer and cover the dish with plastic wrap, venting it on one side. Cook the shrimp on "High" for three minutes, rotating the dish one-quarter turn at the halfway point. Store your shrimp properly. If you aren't going to steam them right away, Clemson University states you can store fresh shrimp in the refrigerator at 32 to 38 degrees Fahrenheit for one to two days, or in the freezer at 0 degrees Fahrenheit.